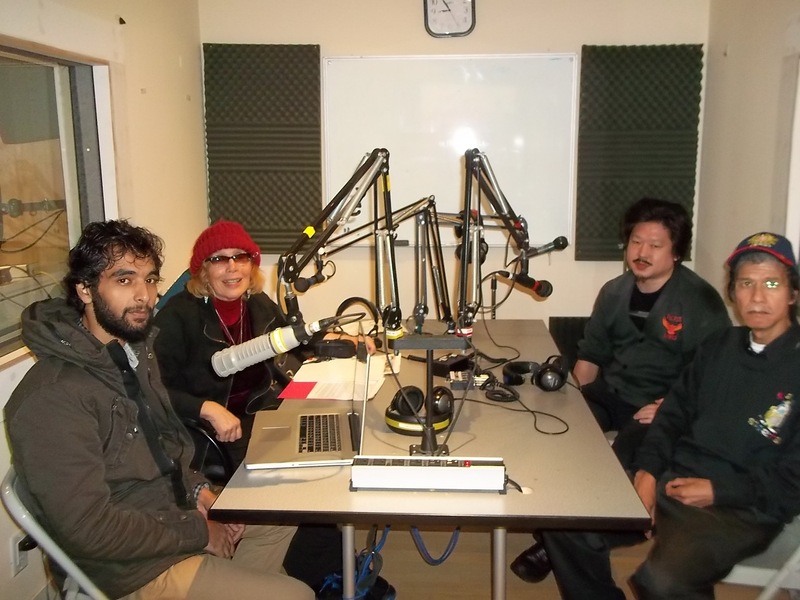 World Poetry Proudly Presents guests from Japan, Afghanistan and Gambia! 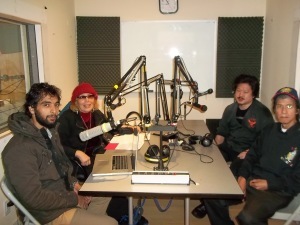 The World Poetry Café Radio Show had a wonderful intercultural show with hosts Ariadne Sawyer and Anita Aguirre Nieveras , super tech Israel Mota and guest, Yoshifumi Sakura, World Poetry Musical Ambassador to Japan. 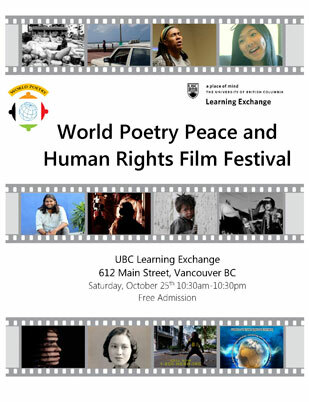 He has never missed a World Poetry Canada International Peace Festival! He was here for the opening on October 19th and returned to Japan today. He also brought the World Poetry Official Theme Song, Circle of Blue that he composed and was recorded in a concert hall in Japan. Since we have so many countries involved in World Poetry, we felt that it was important to have a official song that represented the earth. So many great comments about the song have been coming in. I will post them soon . Again thanks to Frederico Gordo for translating for Yoshifuma once again. Also we were honoured with a visit to the studio by the producer of the film Unknown being shown on Saturday. Sayad Ali Mousavi “Azad” who was able to talk about the challenges in making films and some good statements to make. He is knowledgeable about radio programs also and we hope to have him come back on. Finally, the incomparable Mutiu Olawuyi, World Poetry Cultural Ambassador to Gambia and guiding light for peace, woman’s rights and the cultivating of young talent phoned in from Gambia. An interesting conversation between Ali and Mutiu occurred when Ali asked Mutiu about peace in Gambia. Due to so many guests waiting to come on, we have to have two to three guests per show if possible. To hear this amazing show: CLICK HERE! Ali, Ariadne Yoshifuma and Fred. Anita and Israel were in the control room and Mutiu was on the phone. Last event of the festival! Peace thanks you. This entry was posted in Ariadne's Notes, General, Ongoing World Poetry Events, World Poetry Canada International Peace festival, World Poetry Special Events and tagged Anita Aguirre Nieveras, Frederico Gordo., International Peace Award Ariadne Sawyer, Israel Mota, Mutiu Olawuyi, Sayad Ali Mousavi "Azad", Yoshifuma Sakura on October 24, 2014 by Ariadne.